As you get bigger, there are three key elements to managing business growth; the operations, the marketing and the finance. If finance isn’t your thing then recognise when you need PT or FT financial expertise – book keeper, accountant, and/or finance manager. Do not abdicate the ownership of the finances. It is your company, your tax returns and your solvency. You need to understand where the money comes from and how it is being used. In financial terms the Customer is not King – Cash is King. “Failure to control cash by carrying too much stock, paying suppliers too promptly and allowing customers too long to pay.” The UK insolvency helpline. Sadly 80% of businesses that go insolvent are actually profitable. They just don’t have the cash to cover the outgoings. Limited company status doesn’t necessarily protect you financially as banks and other creditors may require personal guarantees. What’s more, if you trade whilst insolvent you may still be liable for your company’s debts and HMRC may still come after directors if money is owed. Ouch! What are your payments out? – Suppliers, HP finance, bank interest. Don’t hold any more stock/work in progress than necessary. Think about other options than straight forward invoicing. Get customers to pay up front on account, offer discounts for early payment, and sort out any problems quickly so disputes don’t delay payment. You can legally charge interest on overdue debts, make sure you state this in your terms and conditions of sale and on all invoices you raise. Issue credit notes rather than refunds. With factoring you sell your debt to a factoring company for say 80% of the sales value. The factoring company takes on the sales ledger administration. The remainder of the actual invoice is paid to you on receipt of the payment less the % factoring fee. With invoice discounting the business exchanges sales invoices for cash but raises and chases debts itself. Bad debt protection can be purchased. Negotiate the best deal you can get on payment terms. If you have a problem with cash flow talk to your debtors. Don’t ignore it and hope it will go away. Explain your situation (within reason) and ask for an extension or ask for a staged payment plan. If they extend this courtesy, whatever you do – ensure you stick to the plan. Overdraft: overdrafts are repayable on demand and really should only be used for short term cash flow shortages. 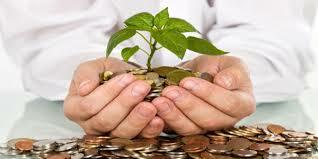 Business Loan: Banks are in the business of secured lending. When they lend money, they want it back with interest and on time. Asset based funding: this is a facility designed to provide working capital secured on the stock you have and debtors. Business angels; typically high worth individuals who make equity investments in your business. Frequently they bring business acumen and contacts as well as investment. Whilst the venture capitalist tends not to get personally involved. And finally, more cash is better than less – keep prices up and costs down. Cash now is better than cash tomorrow – collect as soon as possible, pay as late as possible. Safe cash is better than risky cash – don’t be blinded by big numbers.